Raaz 4, Sequel of Indian blockbuster horror film Raaz is currently on floor in chilling winters of Romania. We have earlier reported that the unit is facing a tough time in below zero degree temperature. As per the latest information from the location the film is currently being shot at one of the most haunted places of Romania “ Hoia Baciu Forest”. 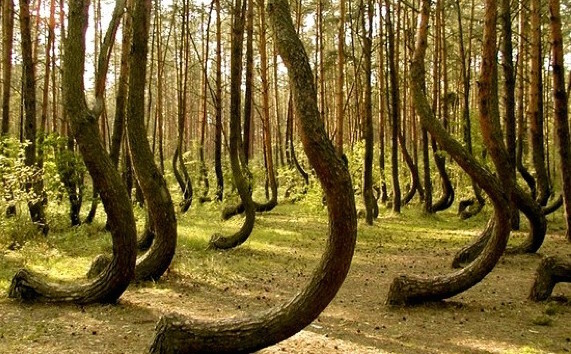 The Hoia-Baciu Forest is situated near Cluj-Napoca covers an area of over 250 hectares and is often referred to as the Bermuda Triangle of the country. Hoia Baciu Forest has a reputation for intense paranormal activity and unexplained events. Reports have included, ghost sightings, unexplained apparitions, faces appearing in photographs that were not visible with the naked eye, and in the 1970s, UFO sightings were reported. Visitors to the forest often report intense feelings of anxiety and the feeling of being constantly watched. Moreover, the local vegetation is somehow bizarre in appearance, like something out of a make-believe story with strangely shaped trees, and unexplained charring on tree stumps and branches. The place is a real creep and it will be interesting to see how it is used in Raaz : Reboot. The writer-director Vikram Bhatt and producer Mahesh Bhatt have said in an earlier version that snow is going to play an important role in the visuals of the film. The story of the film is much speculated, it could be a love triangle, a possible remake of Hollywood horror The Omen or a vampire movie featuring Emraan Hashmi as a vampire.